SHOE DRIVE ENDS on SATURDAY, NOVEMBER 12th! FUNDRAISER ENDS on WEDNESDAY, OCTOBER 5th! Available for 4 more days. Orders will start shipping October 17th. If you want to order a tee shirt, tank top, hoodie, baseball tee, or kid’s shirt during our OVER 1000 DOGS SAVED celebration fundraiser with Bonfire, please don’t forget to order by the cut off date! Click here to order! Join us THIS FRIDAY at Revelry on Richmond from 7-10pm for the Houston Heartthrobs Calendar Launch party! Please join the official facebook event page here. FUNDRAISER ENDS on FRIDAY, SEPTEMBER 30th! If you want to order a collar, leash or toy during our fundraiser with Sgt. Friday’s, please don’t forget to order by Friday night! Click here to order! The 2017 HEARTTHROBS AND HOUND DOGS CALENDAR IS HERE! HeartThrobs and Hound Dogs has been featured on the Huffington Post, ShelterMe.tv, and This Dog’s Life. See photos from the launch party at abc13.com! You can read more about the HT&HD mission on Ricki’s website and since we are SOLD OUT(!) you can order from one of the other participating rescues listed here! Join us at our 1,000 Dogs Saved Celebration! Join us this Saturday, August 6th, at Underdogs Sports Pub while we celebrate saving 1,000+ dogs in just over four and a half years! Get a limited edition t-shirt and help us raise funds! Booster is celebrating pet causes this August and we were nominated to participate in their annual pets promotion! They’ve created this T-shirt design just for us and now we get to share it with you!!! 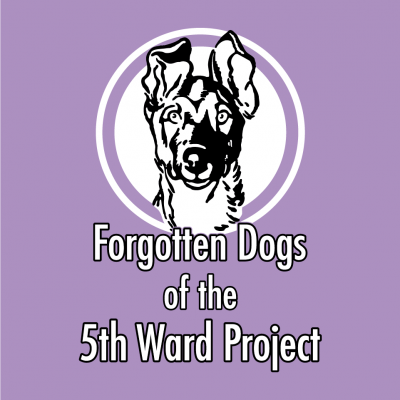 This is another terrific fundraising opportunity for us and it will only run for two weeks, so click through and grab one of these limited edition FD5WP t-shirts! For all current and upcoming events, please click here.